Candid, Unshackled Perspectives on the American Health Care System. Genetic testing has exploded on the consumer market, and advancements in genetic science are offering seismic changes to how we view our health status. But just how accurate are genetic tests? What are the pitfalls to commercializing this relatively new science? Powers discusses these issues as well as concerns over privacy and ethical conundrums related to gene editing. Welcome to The Powers Report Podcast. I am your host, Janis Powers. The show brings you candid, unique and data-driven perspectives on the health care industry. I believe that any solution that is going to positively impact the American health care system has to satisfy two major criteria: financial viability and behavioral incentive alignment. In other words, access to high quality care can only be achieved if we can afford it, and if we behave in ways that optimize our health. Please subscribe to our show on iTunes or on your preferred podcasting platform and connect with us on social media. 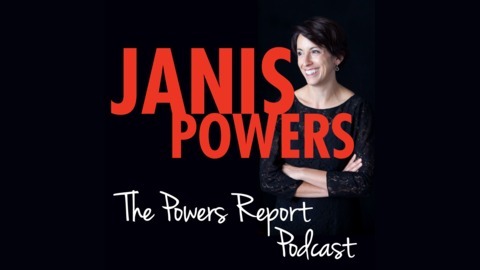 Again, this is Janis Powers, and welcome to The Powers Report Podcast. Genetic testing is all over the news these days and for good reason. It’s an exciting area of health care that leverages technology to find out information about our unique profiles in a way we’ve never seen before. In this show, I will talk about genetic testing and some of the latest technological advancements in genetic science. I’ll also talk about how the study and commercialization of genetic science can best help patients help themselves. The public’s amplified fascination with genetic testing dates back to an event that occurred…less than a generation ago. The human genome was sequenced in 2003. It was a massive scientific breakthrough, led by the National Human Genome Research Institute, the Department of Energy, and partners with International Human Genome Sequencing Institute. By “sequenced” it means that researchers were able to identify the order of the pairs of DNA that make up our genes. The order that the genes are in is critical, because there are relationships between the pairs of DNA, based on where they are. Scientists are just scratching the surface on understanding this part of the human gene. But sequencing has enabled an incredible volume of research, therapies, drugs and, most recently, consumer products, to be brought to market. Genetic testing covers a broad spectrum of study. The National Human Genome Research Institute has a great summary of the different types of tests that are available. Predictive genetic tests are some of the tests done by consumer companies like 23andMe and AncestryDNA. These tests can tell you the likelihood that you may develop a disease. Diagnostic testing is different. This is done oftentimes by a physician or other clinician to determine whether a genetic factor is contributing to a health condition you have. Carrier testing tells you whether you have a gene in your make-up that may or may not manifest as a disease for you but could be passed to your offspring. And there are a bunch of other types of tests. In fact, there are so many tests, that, according to one estimate, ten new genetic tests are brought to market every day. That’s a crazy figure. If you’re a physician or a genetic counselor, it’s almost impossible to keep track of what’s out there. More importantly, it’s hard to appreciate the efficacy of different tests. Efficacy is a measure of how well the tests measure a desired outcome. Or put another way, some tests are better than others. Understanding the importance of efficacy is a critical function of appreciating the power and the limitations of genetic testing. Genetic tests that identify a mutation in a gene can be fairly reliable at making predictions about whether an individual may develop a certain condition. But a lot of diseases and conditions are not based on a single mutation. They’re based on a variety of genetic factors that tested collectively are called polygenic testing. Polygenetic tests provide a range of probability that someone could develop something like cancer. But not all companies perform their polygenic testing in the same way. You may get a cancer risk from one company that includes a few factors, and the results from another company that incorporates a multitude of factors. Your ranges will be different. There may be false positives or false negatives depending on the efficacy of the analysis. Some companies may be analyzing genes for types of cancers that aren’t in your gene pool, and you learn that you’re not at risk for cancer. Then you get cancer – just not the kind of cancer the company had included in its polygenic cancer testing methodology. At this point, it’s hard for consumers – and a lot of physicians – to understand what works and what’s fluff. We’re in the early stages of sorting through all of this. Expect regulation. I, and many others, believe that the purpose of genetic testing should be to inform individuals about what proactive steps they can take to better manage their health. If you have a genetic proclivity to develop, say, diabetes, you should talk to a physician and probably a dietician about how to modify your diet, engage in exercise and participate in whatever other clinical guidelines are recommended to help you avoid developing the condition. This is why genetic testing is such a breakthrough. It allows us to tailor our health care so we can engage in activities that promote wellness. It can also cause people to freak out. Take, for example, a genetic test for the BRCA 1 or BRCA 2 gene mutation. About 70% of women who test positive for the BRCA 1 or 2 gene mutations are likely to develop breast cancer by the time they reach 80 years old. In the general population, the risk for developing breast cancer is about 12%. Having the mutation also correlates to higher risks for ovarian and other types of cancer. As you can imagine, learning that you have this mutation can be devastating. Consultations with a primary care physician, an oncologist and even a mental health counselor may be in order to help a patient deal with the news. At least that’s how I think it should be handled. Other people like to get the news via the internet. In March 2018, the Food and Drug Administration authorized 23andMe to provide BRCA testing for its customers. The test is part of its $199 Health and Ancestry Testing that you can buy online. Individuals will get their results online, which means that they could learn that they have a BRCA gene mutation after making a couple of mouse clicks. How would you feel if you opened a link and learned that suddenly, your odds of developing different types of cancer were frighteningly high? Hopefully, you’d consult with a professional after you got the news, but there’s the possibility for a lot of undue emotional trauma that results from learning this information in such a cold, transactional way. Maybe you didn’t even know what the BRCA gene mutation was when you ordered the package of tests. Imagine you get back your results from 23andMe and learn that you don’t have the BRCA gene mutation. You google it and breath a massive sigh of relief learning that you’ve just dodged a major genetic bullet. You don’t have a significant predisposition for developing breast cancer. Yay! But maybe you do. That’s because 23andMe only tests for three of about 1,000 BRCA mutations. The three they test for are highly prevalent in people of Ashkenazi descent, a group with more susceptibility to BRCA gene mutations than most other populations. 23and Me’s test is great for this group. But how big is the Ashkenazi cluster? Well, 75% of the global Jewish population consists of German-descended Ashkenazi Jews. That’s a lot of the Jewish population. But only .2% of the global population is Jewish. And that population includes men and women. Breast cancer occurs at a much higher rate in women than it does in men. So this 23andMe test is really great for an extremely small – but highly vulnerable – group of individuals. Again, this gets back to the efficacy of the tests. You really have to understand what you’re getting when you take these tests and when you receive the results. 23andMe does a good job of explaining all of this on their website. It is a buyer-beware situation nonetheless. Some view this information as empowering. I, of all people, should love tools and products that promote health empowerment and personal accountability. But this is different, and here’s why. Being accountable for one’s health requires individuals to make informed decisions about how they behave. These decisions must be based off professional advice, tailored to the patient and supported with trusted data and resources. Consumer-based genetic tests provide amazing information, but the results need to be explained and the actions taken thereof need to be planned in conjunction with a trained professional. Sorry folks. We’re not going to fully automate health care. We’re always going to need people, human beings, that can emote, comfort and direct us in our time of need. I think people are angry about the lack of access to information, the cost of information and about the freedom to get what they want. These feelings are completely valid. The response to these emotions should be that we fix the system – not that we create workarounds because the system is so broken. On this matter, my suggestion would be that 23andMe offers their BRCA test as a separate line item – not one that’s included as a list of services offered as part of a package. Separating out the test would enable the company to better explain the significant limitations to their authorized testing capabilities. This could help better inform customers about what their getting. It also helps prevent sharing what are essentially false negatives, for those who actually have a BRCA gene mutation, just not one of the three that 23andMe tested for. By the way, the BRCA gene mutation isn’t the only one that correlates to the development of breast cancer. Maybe soon you’ll be hearing about PALB2, CHEK2, CDH1 and a host of others. So many possible mutations…so many things to test for…. With ten new tests every day, you could test yourself for seemingly everything and find out you have a chance of potentially developing anything. Which brings us to one of my favorite subjects :costs. The costs associated with testing ad nauseum are significant. There needs to be some sensitivity around why people get tested, especially if insurers are going to cover the costs for genetic testing. Risk factors, such as family history, or ethnicity (like with the Ashkenazi population), or even aspects of one’s physical state, must be considered to determine if a genetic test is justified. While genetic testing can provide very powerful information, it’s important for people to understand that there’s plenty they can do to positively impact their health even if they don’t get tested. For example, one fairly controllable factor that reduces a woman’s chance of developing breast cancer is whether or not she nurses. That means she’s got to give birth and not all women do. However, studies show that nursing for at least six months not only helps the baby but it also reduces the chance that a woman will develop breast cancer. Remember: breast cancer affects one out of every eight women. Having a genetic predisposition for the disease is only one factor that determines whether a woman may get it. So regardless of whether a woman has a positive genetic test for a breast cancer gene mutation, she should be encouraged to nurse if she has a baby. And of course, there are the standard good health activities like eating right, exercising and maintaining a healthy weight that reduce the chance of developing breast cancer. We should be doing these things no matter what. And that goes for both women and men. The same recommendations can reduce a man’s risk of developing prostate cancer. And a whole host of other things! Now, on to a separate issue about genetic testing that is becoming an increasing concern. What happens with the data? The big consumer companies like 23And me are very public about the fact that they anonymize the data and sell it. You have to give your permission to be in the sales pool. In other words, you can opt out of being included in the data set that the company sells to third parties. Third parties use the data for research, to help develop drugs, etc. I am going to assume that 23and Me and such companies are doing their best to keep your data secure. There’s no reason any company that wants to stay in good standing with the market is going to do a lousy job with security. That doesn’t mean there haven’t been and won’t be breaches into organizations that hold your DNA data. Security has, is, and will continue to be a critical factor for all tech companies, especially those dealing with personal genetic information. Now there are some interesting things going on in the market related to sharing data and there are different perspectives about it. One philosophy is an altruistic idea that people are going to be open to sharing their data – anonymized of course- just for the good of humanity. That is the 23andMe assumption. You, as a donor, don’t get rewarded for opting into 23andMe sharing your data. They, of course, make money off of your general kindness. Not unlike Facebook, which uses your data to help advertisers target their ads and the advertisers pay Facebook, not you. To this point, there are startups and other not-for-profits that are trying to structure the sale of your data in a way that helps you make money. One company, Luna DNA, has you submit your data which they then anonymize and offer on the market. If it’s bought, you get a piece of the purchase price. It’s an interesting idea. The company will need a lot of donors to be able to develop data sets that can be sold at an attractive price that allows them to cover their operating costs while also giving donors money. Very interesting idea. What if Instagram did the same thing?! From a research perspective, I think the sale of data sourced from consumer-based companies has to manage the Framingham effect. This relates to a potential lack of a variety of socio-demographic attributes in the donor pool, which can limit the efficacy of the research results. Here’s what I mean. The Framingham Heart Study is a landmark, longitudinal study about risk factors related to the development of cardiovascular disease. It began in 1948 with 5,209 people from the Massachusetts town of Framingham. The study is still going on today. In fact, the oldest original member of the Framingham Heart Study just turned 111 years old1 Let’s hope the study can help all of us live such an amazing, heart-healthy life! Cardiovascular disease is the leading cause of death in America. Information from the Framingham Study has been essential in developing clinical guidelines and recommendations for patient treatment and advice for mitigating risk. But, like many studies, it has its limitations. In 1950, about 90% of Americans were white. Today, about 60% of Americans are white. Yet the percentage of whites in Massachusetts is higher than it is in the rest of the country. So the data from the study is heavily skewed towards tracking cardiovascular risk factors for Caucasians, not for other ethnicities. It’s important to consider that different ethnicities have different concentrations of diseases. While cardiovascular disease is the leading cause of death in America, it’s not the leading cause of death for Hispanics. Cancer is. So there’s something different going on there with Hispanics and heart disease than there is with the rest of the population. Recommendations that come out of the Framingham study may not be optimal for Hispanics in preventing cardiovascular disease. My point about genetics is that you have to incorporate applicable external determinants of health when you’re doing research on DNA. I mean, you don’t have to, but it makes the recommendations much more rich and ultimately much more effective if they’re tailored to a subset of the population. Think about who does consumer-based-genetic tests. First, they’ve got to be able to afford to buy them. Wealthy Americans skew towards being Asian, and then white. Asians comprise less than 10% of the population. So the consumer data being collected may not be fully representative of the ethnic composition of the population. In some cases, donors are asked to share certain socio economic factors to go along with their DNA to make the data set more robust. But that stuff is self-reported. So it will have inaccuracies because self-reported data always does. Then there’s the federal government. In May of 2018, the National Institute of Health initiated All of Us, a program that is trying to voluntarily collect the DNA of a million Americans to enable research. In its February 2019 newsletter, about 100,000 people had fully enrolled in the program. Putting that in context, estimates indicate that more than 26 million people have taken an at-home ancestry test. So the government’s got its work cut out if its only culled 100,000 volunteers. This is proof positive for why innovation should come from the private sector. We are going to be paying more in taxes to get funding for the government to get to its 1 million donors and these for-profit enterprises have a mountain of data already. Meanwhile…don’t think that just because you haven’t taken a genetic test that you’re somehow operating off the grid. Law enforcement can find you. You may have heard about how the police captured the Golden State Killer last year. The case had been cold despite the fact that law enforcement had genetic data. Then the killer’s DNA was compared to a genetic database and they found DNA that matched a distant relative. That dramatically shrunk the pool of suspects and BAM, the killer was caught. I’m not sure I know what “privacy” is any more. But it gets better because we have to talk about the CRISPR-Cas9 technology. This allows genes to be edited, enabling a scientist to remove, add or alter DNA. That means, potentially, crippling diseases could be eradicated by altering the DNA associated with the impacted patients. Doing so brings up a battery of ethical issues. First is the fact that scientists are basically playing “God” when they start to mess with our genetic building blocks. I’m not saying that anyone should have to live with cystic fibrosis if they don’t have to. But once scientists figure out a way to “get rid” of things, who knows where they’ll stop. Where is the line between what should be eliminated and what shouldn’t? And who gets to decide? My guess is that CRISPR experiments are going to roll out faster than any national or international body is able to come up with a consensus on how to administer – and more importantly, enforce penalties against – people who do not follow the rules related to the use of CRISPR. It will be a case of “do it first, ask for forgiveness later.” The power and money-making potential of this technology is too great for the global scientific community to wait around for universally accepted usage guidelines. The best we can hope for is that the general population and fellow scientists demand ethical behavior…whatever that means. Interestingly, a CRISPR genetic modification doesn’t necessarily mean that the offspring of the modified individual will be affected by the genetic change. CRISPR gene editing done on sperm and egg cells, known as germline cells, which are the ones responsible for coming together to form new life, is what we have to worry about. At this point, it is believed that changes to the other cells, called somatic cells, won’t be passed down to children. The recent news on this issue relates to a Chinese doctor who allegedly edited the DNA of embryos. It is a fantastic breakthrough. It was also heavily criticized in the scientific community. That’s probably because everyone else was waiting around for guidelines or abiding by agreed-upon professional standards and this Chinese doctor went bold. In the US, this sort of germline gene editing is prohibited because of the unknown downstream, generational effects. Of course, the only way to find out what the downstream generational effects may or may not be is to actually do experiments. But they need to be done following certain agreed-upon, documented standards and procedures. Those are going to be developed locally and will not be consistent across the differing global scientific communities around the world. I’m not trying to make light of the situation because it is incredibly serious. There’s so much we don’t know about our genetic composition so when we start, literally, cutting it up and putting it back together, we can’t say that we haven’t actually created new problems in the name of fixing other ones. I don’t do this too often, but I am going to refer to an article I read in The Wall Street Journal that was a fascinating commentary on this exact issue. The title of the article, “Big Tongues and Extra Vertebrae: The Unintended Consequences of Animal Gene Editing,” says it all. When the genes of some animals were edited, really weird and unexpected things started to happen. Think about this for a moment. There’s the potential that gene editing can be used to create a super-human, by eliminating all of one’s genetically-related diseases. That would be an amazing feat for mankind. However, we cannot discount the potential development of an ancillary epic monster race that’s created by implementing the many factors that cause negative side effects of gene editing. If it sounds like science fiction, you can read about Nazi medical experiments. I’ll leave it at that. The tone of this podcast may have slipped into the dark side. Yes, bad things can happen from genetic testing and gene therapy. But that’s because the upside is so incredible. Going forward, I think we should expect that genetic testing will become part of our regular medical experience. I hope genetic testing will become a valuable tool in guiding patient behaviors. Genetic testing has the power to help us see into the future so we can behave in ways that help as be as healthy as we can be. This is The Powers Report Podcast. 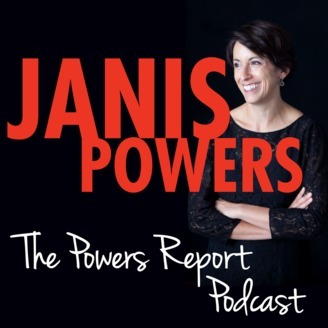 Please subscribe to our show and please follow me, Janis Powers, on social media. We will be featuring listener questions, comments and suggestions on future podcasts. Please see our website at powersreportpodcast.com to submit questions and ideas on the Contact page. I look forward to hearing from you. Thanks so much for listening!